Questions?!! My whole scheme down the…I mean, ask away. When we were researching countertops, we had trouble finding information about Riverstone quartz. Now that we’ve put our Riverstone in, here are some of the answers to questions we had earlier in the process (and couldn’t seem to find anywhere!). We hope these Q&As will help you out if you are currently in counter-shopping mode. Is Menards Riverstone Quartz as good as other quartz countertops? Yes, because Riverstone IS another quartz countertop, although they don’t advertise it as such. It’s HanStone, which is one of the major quartz makers. The slabs are manufactured by Hanwha in London, Ontario, where HanStone is made for the North American market. 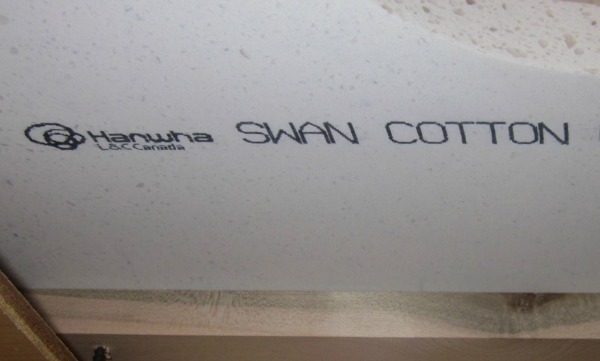 As far as I can tell, Menards gives the HanStone colors and patterns different names to make it “Riverstone.” For instance, our “Cotton” quartz was marked as “Swan Cotton”–the latter is the HanStone name for the white pattern we ordered. Some colors don’t even change names; “Maple Canyon” is the same name (and color) on both sites. Basically, you’re buying HanStone slab material and Menards (or their affiliate, Midwest Countertops) is fabricating it. How do you know it’s HanStone? The stamps on the underside are for the Hanwha facility, the colors are marked for HanStone color names and codes, and, most tellingly, one of our pieces had a “HanStone” sticker on the back. According to HanStone, “Approximately 93 percent of HanStone Quartz is mined quartz crystals, one of nature’s hardest materials. 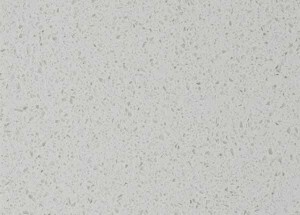 The quartz is combined with high-quality polyester resins and pigment to produce a natural stone without the high-maintenance.” The 93/7 quartz/resin mix seems to be pretty standard in the industry. Apparently, quartz crystals are colorless or near-white, so the deeper the color or more complex the pattern, the more dying and other processing they need to do to the material. Fortunately, our tastes ran to the cheap option on this occasion. 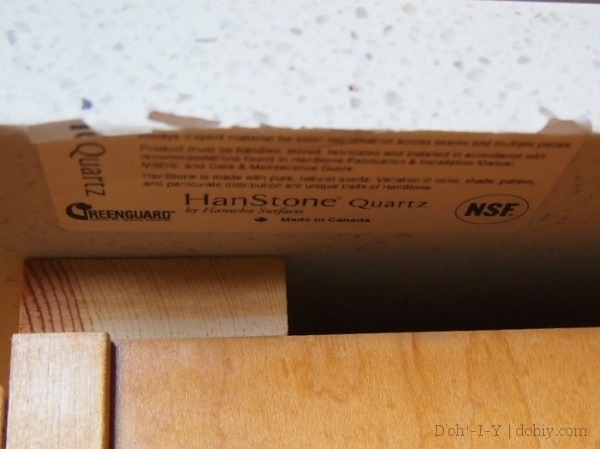 Riverstone quartz countertops are sold as a house brand by Menards. The buyer doesn’t work directly with the fabricator (Midwest Countertops, which seems to be owned by Menards) or a designer. The buyer provides the measurements (which you can check with a template if you so choose). The fabrication choices are more limited (only three edge options, for instance). Most significantly, though, the price doesn’t include delivery or installation. At our Menards, they had some names and numbers for installers if buyers wanted to contract for that separately. Three centimeters, which is 1-3/16 inches. VERY. Somewhere around 20 lbs. per square foot. The fabricated pieces are set onto polystyrene strips and strapped to wooden A-frames for transport. Something like this, but out of 2x4s (via). I didn’t get a picture of ours, but it was about a 4-ft wide base by about 4-ft tall, and then just over the length of our longest piece, about 7 feet. The frame will vary by the order. When we came for pick-up, they used the forklift to help us get it in the truck. Quartz can crack if carried on the flat, so we kept it on the A-frame until we got to the house, then took the pieces off. Menards will take back the A-frame; most locations have a drop-off point for pallets where you can drop it. You can either buy a sink from Menards or give them your sink model number when you order, and they will include it in your template. They also send along sink clips, about which more in a future post. We didn’t order one, but I believe they do a 4-inch option. They also offer windowsills, I noticed. Might be a good material for a windowsill. How do you maintain it? HanStone says soap and water. Avoid abrasives and bleach. Update three years on: We got a small chip in the edge of the sink cut-out, but it was easy to fix. Here’s how we did it! (And here’s how we did the sink.) For now, suffice it to say that there’s more to it than removing the old tops and flopping the quartz on top of your cabinets. Long story short, is this DIY-able? It wasn’t easy! On the first day we worked on it, the Kev exclaimed, “CAN ANYTHING ELSE GO WRONG TODAY?” He doesn’t usually say stuff like that, although to be fair, our planning and prep had been condensed by a change in the delivery schedule, which caused some unexpected scrambling day-of (details at our installation experience and someone else’s too). But yes, it’s doable, if you are a detail-oriented DIY-er with some strong friends. I could not have done it without the Kev, and neither of us could have done it without my brother and sister-in-law. And their truck. We’ve got to get us a truck. I still have questions, maybe? Feel free to comment or email us with other questions! This entry was posted in Construction, Decor, Kitchen and tagged diy quartz countertop, hanstone countertop, menards riverstone quartz, riverstone faqs. Bookmark the permalink. Wunderbar. I have a similar post in my draft box. Ours is still in production. I am just learning now that it is HanStone…interesting. I am writing more about the pros and cons of the process of ordering from menards. Im glad to see it is properly supported with the A frame. People think we are nuts for order quartz from menards but in my book quartz is quartz. I have received my templates, but the instructions are vague. Can I trim the templates and make other modifications before sending them back or will i have to go back to menards with the alterations? Hey, Chris — when we did it, if there was a problem, we were supposed to contact them. I think they go by what’s in their system, rather than by the templates, which are just a double-check. I’d call or stop in and ask to talk to the department manager. Good luck on it — let us know how it goes. Bought two Riverstone Quartz bathroom top with undermount sinks in both. First unit was St Croix and second was Calypso. Very disappointed in luster of Calypso. 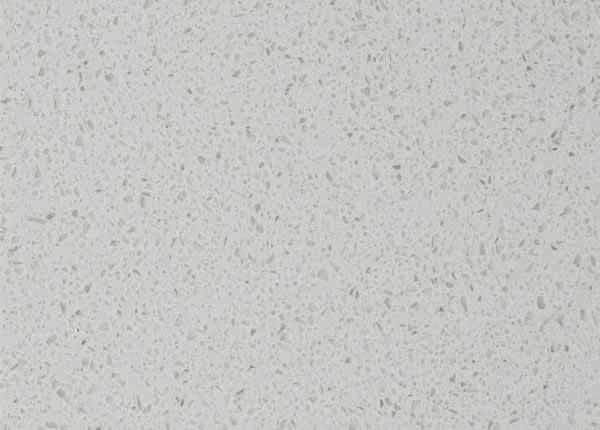 We were trying to match 5 year old quartz counter top in kitchen which has beautiful higher gloss surface than flat dull Riverstone. Bummer, Tom! Have you talked to Menards? I wonder if they got a bad batch, or if that’s just the way it is, if there’s a polish you could put on it to shine it up, maybe RainX or something like that? But I hope Menards fixes it for you. Thanks for sharing the info in case anyone is looking at Calypso. When you brought your countertops in to acclimate where did you set them? And do they need to remain vertical during this time? We are nervous about this because our first sink cuteout came cracked. We have some smaller pieces leaning against the wall but not sure how to do the big sink one we have. Ok good to know we are doing something right then. Thanks for your help! We are thinking about ordering quartz countertops through Menards for our new kitchen. On Menards website they show a color sample of “Seafare” – Do you happen to know which one this really is on the HanStone website? We are looking for a grey countertop, and this seems to be only grey option at Menards. Hi, Melissa! I didn’t see a Hanstone that matches that pattern. Menards might have changed their vendor. Seafare is really pretty — good luck! Yep, you just need to find an installer that does Hanstone. But I think that the only place to get DIY quartz of any sort is still Menards. Hi, Pam — Sorry to take so long to get back to you! You’ve probably bought and installed countertops by now. I’m not sure, but Moonstruck looks a lot like Indian Pearl on the Hanstone site. That’s just a guess, though! Good luck.